FULL DISCLOSURE: These will not magically make chickpeas taste like salt and vinegar chips. Unfortunately, I went into this baking project assuming just that. They will, however, make chickpeas taste a lot better than just chickpeas. And they’re much healthier than chips. But they’re not for everyone. As Trevor put it: “Make sure people know how weird these are. [5 minutes later] I can’t stop eating these. After the 12th one they get really good.” You’ve been warned. 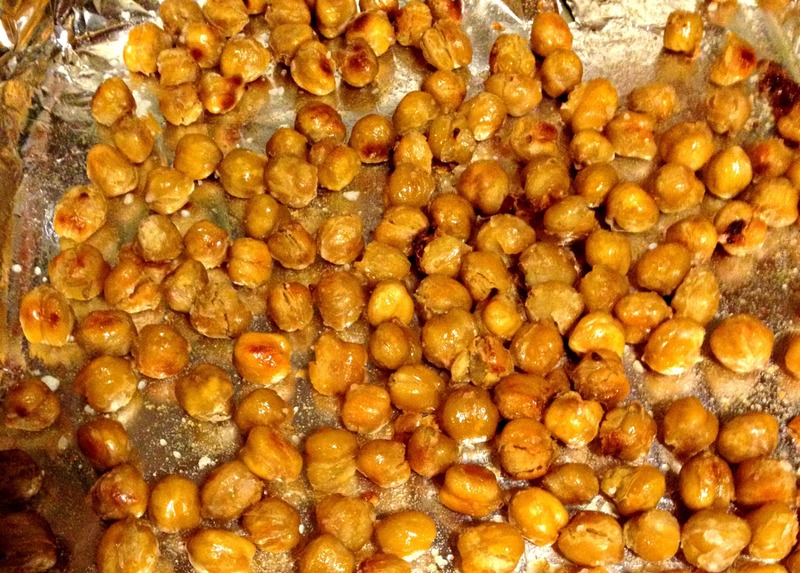 Bring chickpeas and vinegar to a boil, then set aside for 20 minutes. Pre-heat oven to 400 degrees and line two baking sheets with tin foil. 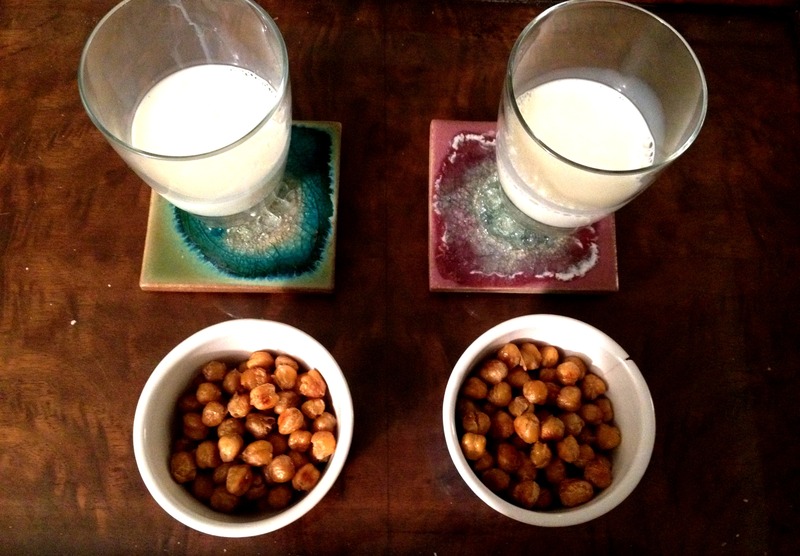 Drain chickpeas from vinegar, dry slightly, and pour onto baking sheets. Mix with olive oil and sprinkle with salt. Bake until golden brown, 25 minutes, rotating baking sheets halfway through. NOTE: these will be mushy and disgusting immediately after coming out of the oven (oh, and your whole house will smell like vinegar.) Let cool 5-10 minutes before eating for maximum crispiness.